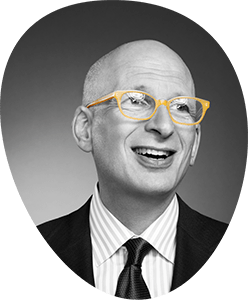 My new book (Seth Godin – Liar’s Blog) comes out next week, and like it or not, it’s getting reviewed. Here are a few you might want to check out. 800-CEO-READ Blog: BOOK REVIEW: All Marketers Are Liars. Joi Ito’s Web: All Marketers Are Liars. Link: 800-CEO-READ Blog: Jack Covert Selects–All Marketers are Liars. And, as usual, Publishers Weekly weighed in with a review that wasn’t, hmmm, quite as rewarding. Here are quotes from four of PW’s reviews of my books over the years. See if you can match the quote to the book. "A slapdash mix of insight, jargon, common sense, inspiration and hooey"
"As a result the book is fiery, but not entirely cohesive; at times it resembles a stream-of-consciousness monologue." "He lays the metaphors on a little thick." "Readers will likely find the book’s practical advice as rudderless as its ethical principles." I will try to comfort myself by basking in their bad track record.